Yellow Pages » FL » Miami » Attorneys » Lieberman & Zagoria, P.A. About Lieberman & Zagoria, P.A. We sincerely care about you, our client and know that you have paid into SSA for most of your adult life. If you have been denied benefits by an insurance company, you need an experienced attorney on your side. It is important to have a team to defend you against the lawyers on the insurance companies end. Lieberman & Zagoria, P.A are here to fight for you and have fought for thousands of others in similar situations regarding Social Security and Long Term Disability. We have extensive experience and knowledge in our areas of expertise. If you are the owner of Lieberman & Zagoria, P.A. and would like to make changes to your business listing information, click here. 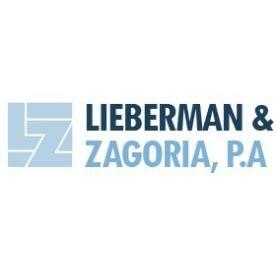 Contact Request for Lieberman & Zagoria, P.A.